Are You Afraid To Try? Trying something new is a risk, sure but if you don’t try, you won’t know, – you won’t get the benefits. Now, hey, I’m not telling you to try every risky thing out there, no way. There’s a big difference between risks and risky. Some risks involve growing as a person, something that’s just “risky” can cost you your life or your liberty. The kinds of risks that you avoid by staying in your comfort zone are those where you might meet someone you would enjoy having as a friend or partner, where you might avoid improving your education because “I can’t do that” or “it’s too much work” or where you avoid taking up a new sport or leisure pursuit because “I’ll look dumb”. If you want to try something new, then go ahead, assess the risks to yourself and then ask, “What is the worst that could happen?” If it just involves egg on your face, then go ahead, it wipes off. If it involves physical danger to yourself or putting your family at financial risk then think long and hard about it and take advice. 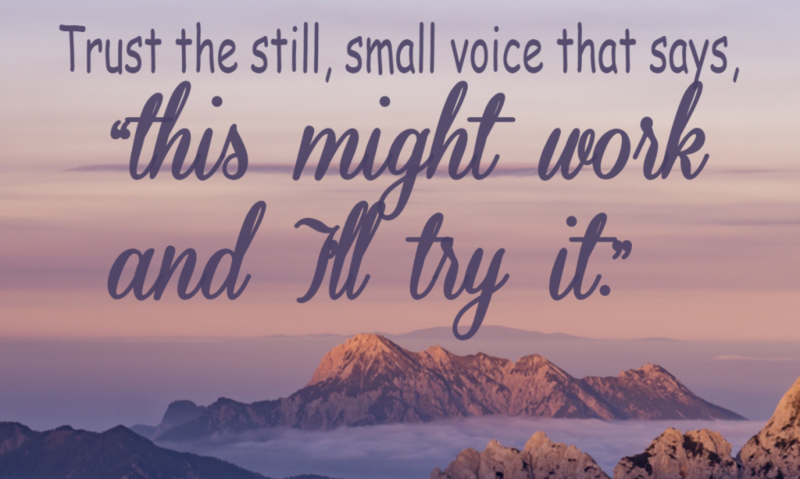 But don’t ignore that still, small voice that says, “this might work and I’ll try it”.